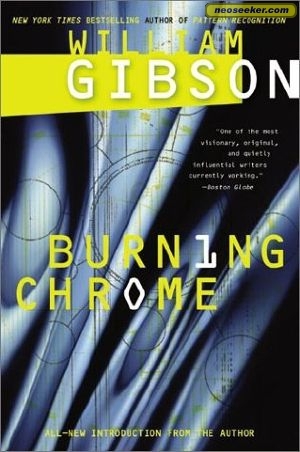 “The Winter Market” is a short story by Nebula Award-winning author William Gibson that was published in 1986 in his Burning Chrome anthology. Casey comes across a disabled girl in an exoskeleton named Lise, who has a gift for strong perceptions that are ideal for the Sense/Net industry that Hollywood has become. Being an editor of such works, our protagonist leads her into the world of celebrity and success, but it isn’t enough for Lise, who has been suffering for a long time and now has a way to make her end truly spectacular. Casey mourns her departure, but his friend Rubin helps him realize that he has gotten a lot of the relationship and so maybe he can be happy after all. The narrator and protagonist, Casey, is a film editor for a future generation, whose film is not just moving 2-D images, but recordings of sensations and even emotions. Lise is his cyborg love interest, a girl who is forced to rely on a powered exoskeleton for motion, and whose experiences prove to be a boon to Hollywood. Connecting them both is Rubin, a strange collector of gomi (i.e., junk) who adds a philosophical dimension to the story, along with a foil to Casey’s many insecurities. And along the way come the studio execs, the Hollywood and international bigwigs who want only the best out of Lise and inadvertently fuel her downward spiral with all their freely-given luxury. This story has some interesting visual elements for a piece of pure prose. On the one hand, you have the Sense/Net headquarters on Sunset Boulevard, a brilliant mirror-surfaced pyramid that burns hot-white in the daytime; turn the page and you have Lise in a polycarbon-black exoskeleton, suffering from drug abuse and giving off vibes like a bitter doll. You get a sense of the glitter and the trash in this urban landscape of the future, especially when Lise’s perceptions of said trash get sprinkled with glitter by the major studios. Besides being the narrator, Casey is self-demonstrating example for his own work: a snapshot of emotions and images, all carefully distilled for the viewing audience. He gives us a sensual and stark portrait of the mysterious Lise while also projecting his own feelings into the narrative weave. Bibliography: Gibson, William. “The Winter Market.” Burning Chrome. New York: HarperCollins Publishers, Inc., 1986.